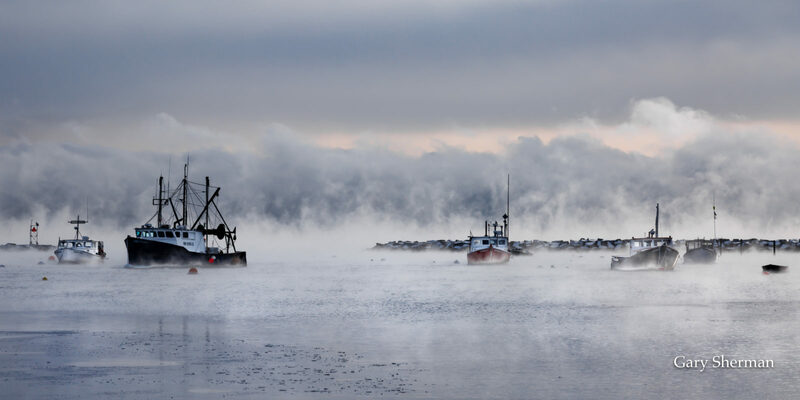 Sea Smoke envelopes Rye Harbor, Rye, NH. Sea Smoke occurs when the temperature drops suddenly (typically below zero) and cold air mixes with a warmer thin layer of air just above the water. The air temperature was -5 degrees F with a wind chill of -20 degrees F.